The "Jackie Effect" refers to an unexpected, involuntary emotional response experienced when when listening to a vocal performance. The effect is commonly manifested in goosebumps, spine tingling and tears. "chills, smiles, tear drops, joy, a mixture of emotions"
Examples are reported here and here. 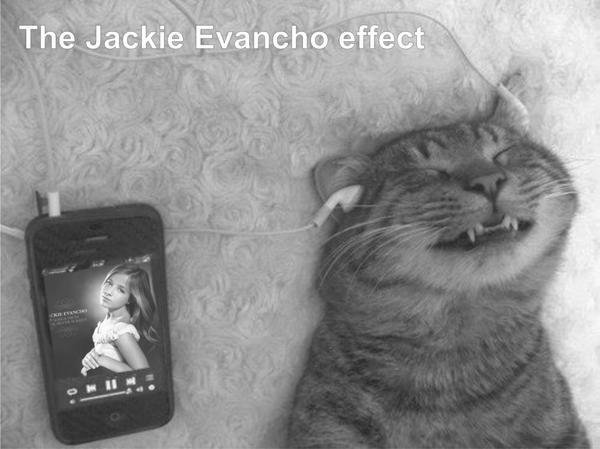 Study of the Jackie Effect is typically undertaken in the domain of Music and Emotion which analyses the impact of tempo, rhythm and tonality on the emotional state and memory of listeners. The distinguishing characteristic of the Jackie Effect is the involuntary or unexpected nature of the response. Early analysis pointed to the impact of the "Little girl - big voice" paradox as a possible explaination. However, the effect continues to be reported despite Evancho's maturing persona. Reviewer comments often note Jackie's unusual talent for emotional interpretation, which utilises her natural and prodigeous vocal skills to create a hightened emotional state in listeners. Jackie's off-stage persona of genuine humility and kindness also resonates strongly with her fans. Listener features referring to the individual and social identity of the listener such as personality, knowledge of music, and motivation to listen. Audiences currenly comprise mainly middle aged or older men and women in equal numbers, with a smaller number of younger fans. Those trained in music, including orchestra members performing with Jackie, are often glowing in their reviews, but those with less musical knowledge are equally likely to report the effect. Contextual features which are aspects of the performance such as the location and occasion. Jackie is a popular performer at patriotic events such as Memorial Day and Fourth of July concerts, which contribute an emotionally heightened atmosphere. These events seem to bring the effect into greater focus, and the resulting successes suggest that emotional connection forms a significant part of the Jackie Effect. 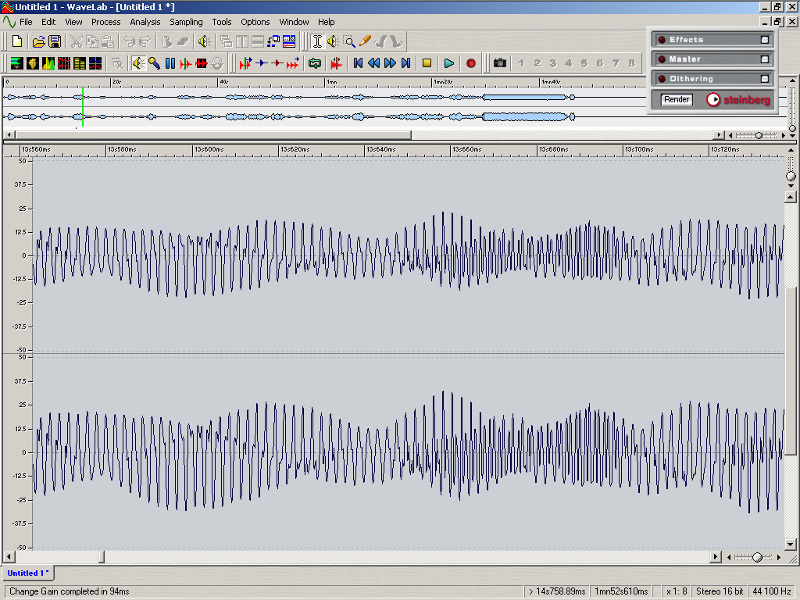 Waveform analysis has identified an unusual double harmonic which may be associated with the effect. This analysis by Patricio illustrates the unusual helical nature of Jackie's waveforms. Another theory based on waveform analysis suggests that Jackie's vibrato matches the frequency of Theta waves, human brain waves that become dominant when we feel emotional, relaxed, daydreamy or unfocused. "I analyzed Jackie's vibrato/tremolo with software, the frequency of her vibrato/tremolo is around 6 Hz (with subtle variations in frequency and intensity). Theta brain waves are present during deep meditation and light sleep, including the all-important REM dream state. It is the realm of your subconsciousness, and is where you experience vivid visualizations, great inspiration, profound creativity and exceptional insight." Early example: Composer Tim Janis introduces a 9-year-old singing star at Nathaniel Witherell (Dec 2009). A Jackie Effect poll on the TheTopTens. A short story exploring the Jackie Effect. * Jackie Effect image kindly provided by "espida".